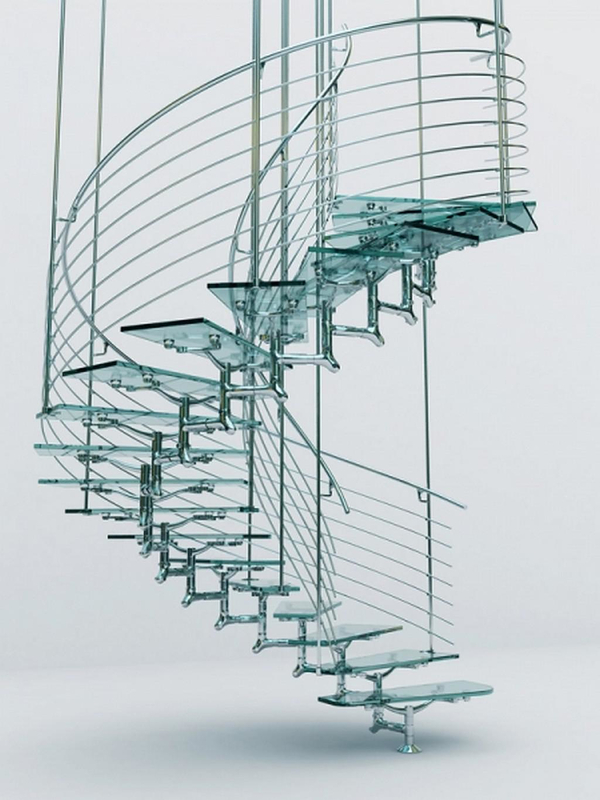 HomeBlogArchitectureSculptural Glass Staircases by Faraone. 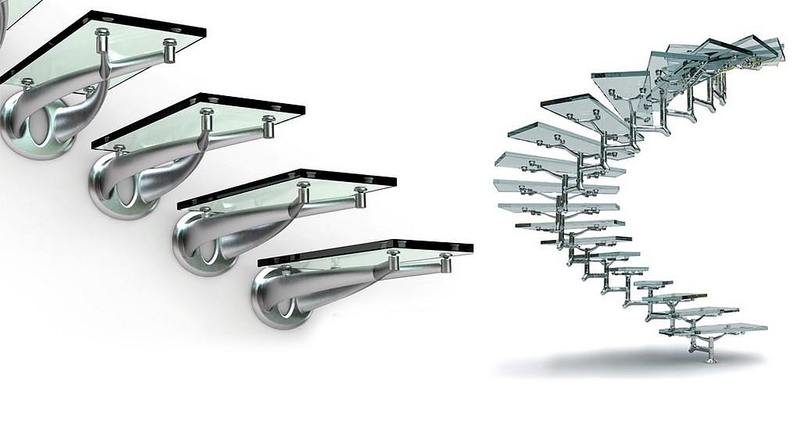 Sculptural Glass Staircases by Faraone. 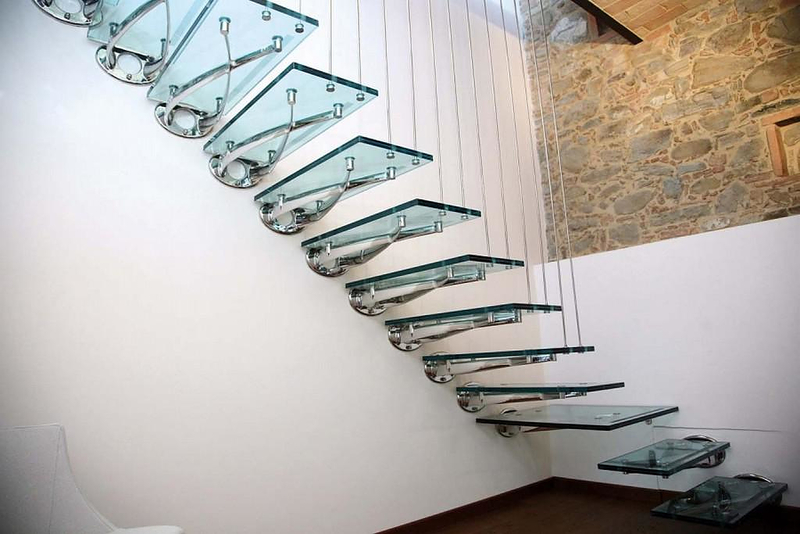 Italian brand Faraone impresses with its unique collection of sculptural glass staircases that seem to float and disappear in their surrounding environment. 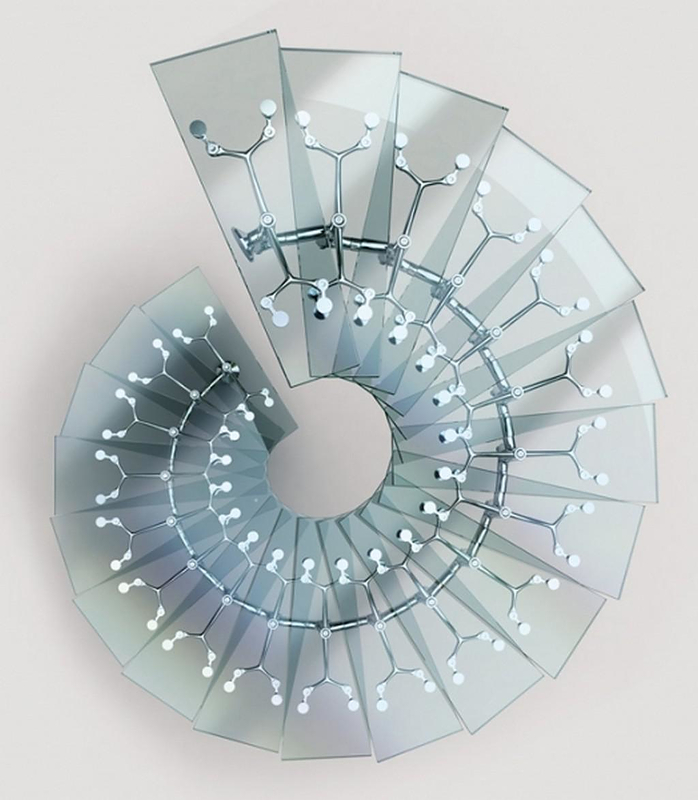 The translucent glass staircases by Faraone impress with their sculptural shape and artistic forms. In architectural planning, staircases are key points to every building, from the smallest residence to the largest public building. Their use is essential but not only functional. Staircases are a great opportunity for inspired architects to combine functionality and aesthetics to a key element of their design. 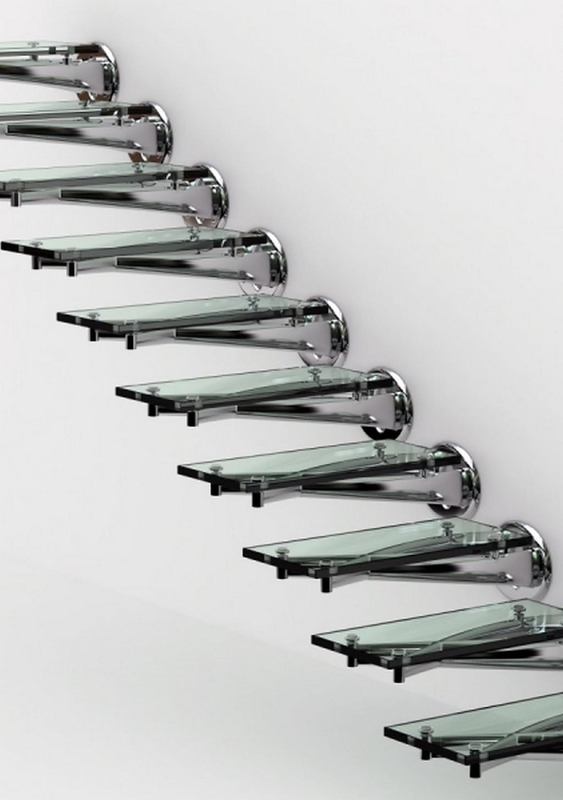 The glass staircases by Faraone are unique design pieces of great aesthetics that prove to be a very good realization of this practice. 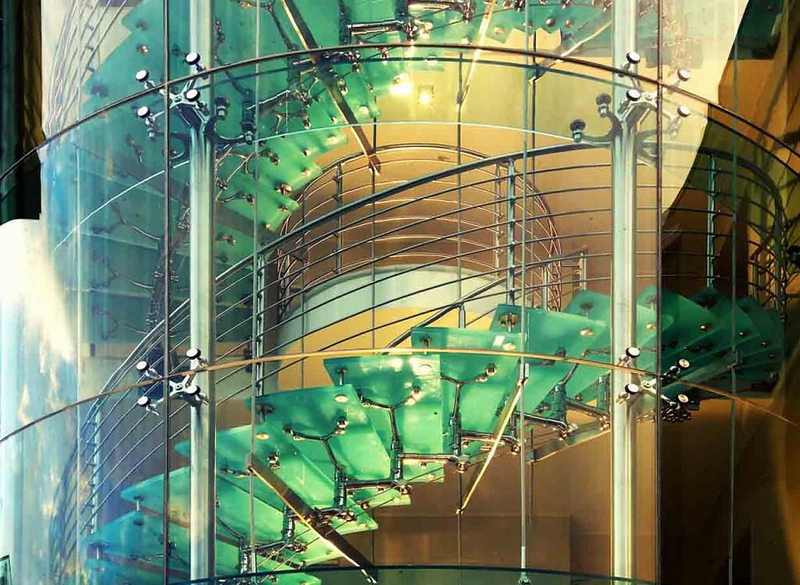 The glass staircases consists of glass elements that look like petals or plain rectangular steps and sculptural metal pieces that hold the staircase weight or attach to the wall: a skeleton made of joints and spine-like pieces with organic form. Glass and metal combined to a unique piece of artistic installation. 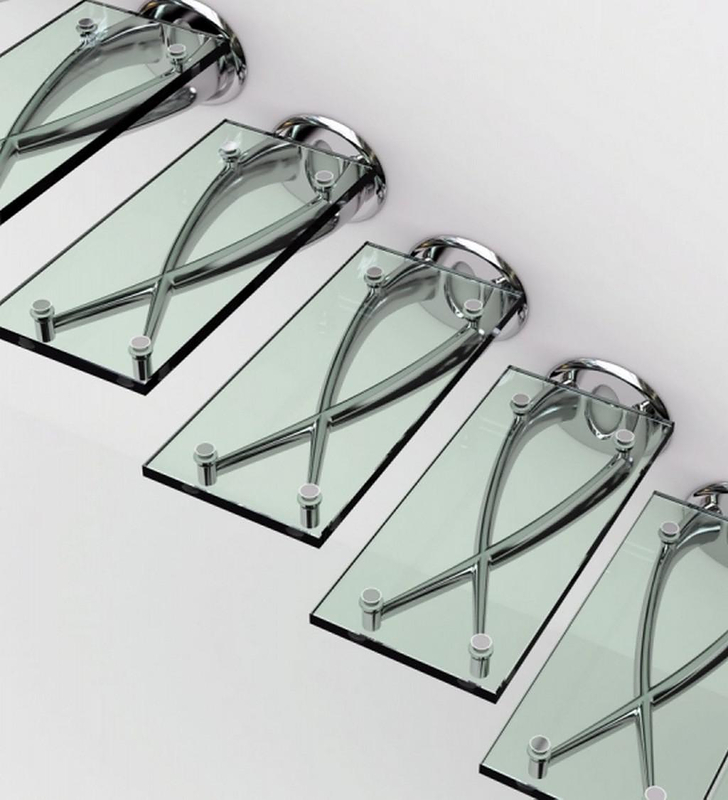 Faraone is well known for its architectural glass structures, composed of rigid metal joints and glass panels. 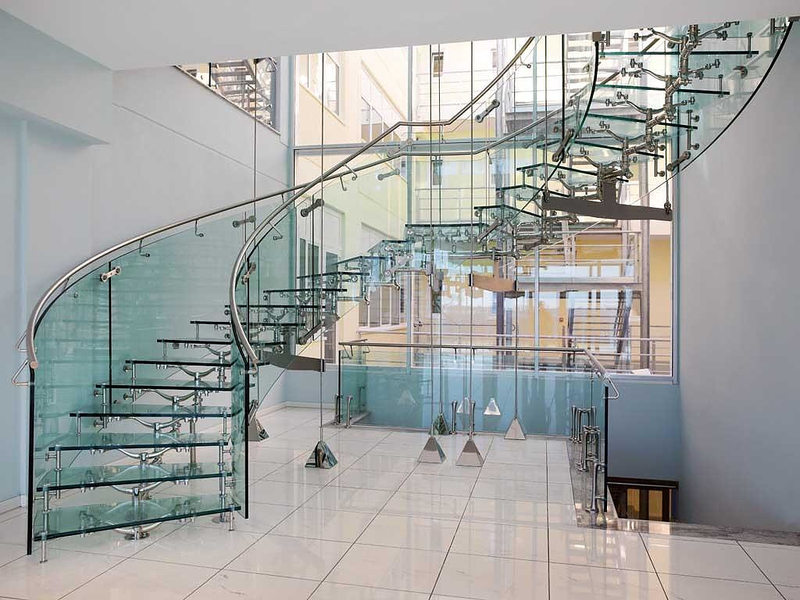 Their collection of glass staircases is designed by architects that challenge our vision, our aesthetics and our … fear of heights! Modern Ribbon Staircase by HSH Architects. Vertebrae Staircase by Andrew McConnell.